Back by popular demand, there's more analyst speculation - with a somewhat factual grounding - that's added to the belief that the NX, or at least a portable aspect of the hardware, will be released this year. It's not new to suggest that the NX hardware will have a portable element, with a mix of patents, logic and interpretation of previous Nintendo comments adding to a belief that the next platform could feature both console and handheld aspects. If this headline seems familiar, that's because just recently Macquarie shared a belief that a portable NX release would come this year, with a 'console partner device' in 2017. This time around it's Hiroshi Hayase, a senior principal analyst at IHS Technology, who has spoken about an increase screen shipments with the NX as a contributory factor. We expect a small recovery in shipments of flat-panel displays for game devices because of Nintendo's new game hardware expected to be released in 2016. Hayase-san reportedly went on to say that he expects this to relate to a standalone portable gaming machine rather than a GamePad-style controller tied to a home console. It could, of course, be both - in a manner of speaking. It's a little more smoke to the fire, and from a source worth paying some attention to. Ultimately only Nintendo has definitive details, which it'll reveal this year. I want Nintendo to start talking man. We barely hear from them anymore with monthly Directs being a thing of the past. They honestly shouldn't wait until E3 to start talking. I know this is going to put me out there to get trolled on, but I really do not like the design of that portable. I understand I think what they are trying to accomplish, but I don't think I want the buttons in the middle of the screen. Of course, this may be the case of an old man just not wanting to change. @Clownshoes It won't be Wii related so that's one good thing. I'm also guessing it won't be DS related either so I'm thinking something like New Nintendo Entertainment System X. For the first time ever, I will be taking a wait and see approach with Nintendo. I will not be buying any new system at launch, I think I will wait at least a year. Still have tons of games to play on Wii U, 3DS, Xbox One and PC to keep me busy. @Mario-Man-Child I would be surprised if nothing comes out this year. We have nothing on the AWII u front and the system is ready to be out to pasture. Even with the jam packed early half for 3DS those numbers are on decline also. Nintendo would be very foolish if they didn't do something and soon. We know that dev kits are already in hand and have been for quite a while now and they wouldn't be if we weren't looking at a release till next year. If there's going to be a port of Smash to the NX, that suggests the NX won't be backwards compatible with the Wii U? @JesWood13 I don't see how Nintendo can hold off until E3 with so many leaks now starting to spread. How long until the leaks regarding the dev kits start to show up like with the Xbox One. I think Nintendo will reveal the NX either February or March with a E3 full on showcase and game lineup. Remember the new account goes live in March so it's perfect timing. Plus the 3DS was shown off before E3 in order to prevent full leaks. They've got to start tweeting some shadowy images of hardware prototypes. SOMETHING. @MrGawain No I don't think the NX will be backwards compatible if they are looking at porting games like Super Smash Bros. But maybe that's actually a good thing this time around. It's actually more expensive to have that feature which adds to the overall sale price, something Nintendo are going to be keen to keep as low as possible. Plus think of the income they can potentially generate with remasters - just look at Sony and Microsoft. It won't need to be backwards compatible if wii u games are available digitally. @MrGawain Perhaps if you own the game on Wii U (or 3DS) you will automagically get it on the NX with only the dlc you've purchased, and the 'port' sku is for new customers and comes with all dlc or whatever. I still think the first wave will be the portable part -with them home console bit released next year. Handheld in 2016 and console in 2017 makes sense to me. 3DS has been out for a long time and its time for something new. Can't wait till E3 though. I want a reveal of the console in march with just some teasers and then E3 i want to see the big blowout. I simply can't stand handheld devices. I didn't buy a 55" TV to look down in a tiny screen getting neck pains simultaneously. If NX is a handheld, I'll quit Nintendo for the first time since the NES days. Agree with most people here - looks like nintendo will update the 3DS this year, and update the Wii U next year, and they'll work together. You do realise that handhelds are Nintendo's biggest asset. The handhelds are what make them lots of money. Do you think Nintendo are just gonna throw that core business away. The 3DS is very old, a new handheld has to be released on the market before a new console. @Mario-Man-Child Sounds logical, but I'm really hoping you are wrong. If Star Fox Zero (which by every account isn't looking good), Zelda U and a possible Paper Mario is all they have lined up its going to be a rough year. Really I think their absolute best bet is to get a new console out this year, one that isn't woefully underpowered and is easy to develop for. They need third party support and need it yesterday. They make some of the best games in the business, but when you only have 3 or 4 of those a year that isn't good. Love your forum name btw. with all this hype and buildup, the nx better be able to walk on water and turn water into coke zero when it comes out. @patbacknitro17 The newest thing that was said was president of Nintendo saying it's not a Wii or Wii U successor that it's something different. That doesn't mean not a console. He also says it will appeal to their consumer base which certainly isn't cell gaming. @Mario-Man-Child Three games, one of which was not received well and one still a "rumor" at this point, is not enough to keep Wii U afloat for another year. They got toasted this past holiday and this year looks even weaker than last year's already poor year. Any potential Wii U sales have been undercut by all the talk of the NX, so most people know it's coming and probably will not invest in a console that's on its last days. Even worse, announcing it this year and not having it out until next would be retail suicide. I wish the Wii U would've lasted looney, but I'd be stunned if the NX wasn't out by holiday this year. People aren't a fan because it doesn't have face buttons. @MailOrderNinja But at E3 last year they specifically said it wasn't gonna be a handheld or home console, so theirs no possible way to misconstrue that. With all these analyst/ corporate leaks, nintendo should just announce it officially. Make a proper separate show of it akin to sony and microsoft. Lets be honest, i doubt its gonna make a huge dent in wii u sales anyway with it having sold so poorly throughout its life. whatever happens im quite excited and will be a day 1 buy for me as long as theres no crappy gimmicks involved like the wii motion rubbish. Give me sticks and buttons dammit!! If the handheld does come first, it needs to have TV out. Ninntedo employees have been quoted as saying it's a "home console" or just "console" that people interpreted as home, but Ntineod has also said it's something new. And there has been talk of words like "fusion" and "hybrid", which do seem much more marketable than simply calling it a portable w/ TV out. So I'm wondering it if can be a "portable home console". Maybe you still need to have it hooked up to a tv to get the 2 screen full game effect, but you can play it like a portable but w/ a lesser game experience? I've always felt that games that can be played "off TV" on the Wii U were missing something. Some aren't, they don't use the Gamepad at all except for mirroring, so nothing lost, but other games let you play off TV but also make use of the Gamepad like WW HD and XCX. So it would be portable, to take to any TV in your house, or a friends, but for a limited game experience for some games, but you could still have those. It's basically the Wii U crammed inside the Gamepad. One question I haven't seen discussed much - how would Nintnedo get the signal to the TV? Hopefully not those old RCA white-red-yellow wires. Mini-HDMI out wire? Wireless HDMI? Thru the NX Home? I'm not sure if there is any hardware in Wii U that could accept a compelte game signal - sound and audio - from a handheld to output it to a tv. If there was "new 3DS" probably would have used it by now. Maybe a $35 optional streaming device like a Roku or Fire Stick? I've never understood why Sony made a PS (Vita) TV rather than just letting Vita output to a TV. Maybe it would have sold then? Or at least added it in w/ the newer Vita hardware? A portable home console could maybe sell well. 3rd party support is still very much up in the air there though. @Aneira you do realize they are making a handheld and a home console right? You do realize one will come out before the other right? You do realize portables are ment to play on the go away from your tv right? @Tops I would wait. The DSi was the swansong of the DS, so I'm thinking the New 3DS is the swansong of the 3DS. The Wii was a great succes, as was the NES and the SNES. Maybe you didn't know that or maybe you're just an ignorant fool. I don't care about the 3DS. The fact is I'll only support them if they deliver on the stationary console front. But you seem to be implying that only idiots play Nintendo for their home consoles. You're woefully mistaken. I don't realize anything until there's a confirmation to what the end product actually is. Don't try to be a wise guy. It will catch up to you in the end. @ericwithcheese2 @MailOrderNinja It's not just three games for the Wii U. Zelda U, TPHD, SMTxFE, Star Fox, Pokkén Tournament and Paper Mario more than likely. Six games, compare that to the games we got last year, add another Mario Golf and budget title that will be revealed at E3, and the line-up is just as good, arguably even better. Pikmin 4 is also close to completion, if a new home console comes in 2017, we can safely assume that Pikmin 4 is a Wii U title as well. @patbacknitro17 I think that comment confirms that it is a replacement, remember how Nintendo said the DS wasn't a replacement to the GBA and how that ended up. The exact problem is that, while we don't know what it is, analysts and others are attempting to put the puzzle pieces together. Nintendo may indeed be enjoying the buzz, but they need to control the narrative a bit as well. A leak or two that leaves us wanting to know more might be sensible. They don't want hype to outstrip reality. @patbacknitro17 They've changed their tune since then though. Plus if it was a hybrid that statement would be true still as it would be a follow up to both. They could totally be Obi Wan-ing this. I just don't see what else it could be as nobody wants anything besides those things from them. @FragRed @MrGawain Have you heard of Metroid Primte Trilogy, Xenoblade Chronicles, Super Mario Galaxy - all Wii games? They all say hello... from the Wii U eshop. Why can't Smash U be on the NX eshop and NX still be backwards compatible? @Aneira in in the same boat, 15 years ago I enjoyed the heck out of my DS phat, but it's too hard to use now, and its sad because there are several 3ds games I wanted to play through, but even in store: just can't do a handheld more that about 10 min at a time. @Aneira The NX could be a handheld and a completely different project could be the successor to the Wii U. So far, we know nothing about the NX outside of rumors, "reports" from analysts that guess on what the hardware could be, and the assumption that the NX will unify Nintendo's handheld and home console lines. But that NX could very well be nothing more then the next Nintendo handheld. People tend to forget that. And a new handheld coming out this year would not be odd. The GBA, DS, and 3DS all came out before the Gamecube, Wii, and Wii U. It makes more sense for Nintendo to put out a new handheld first, given that is still their biggest business. Then again, Bamco, Capcom, Sqeenix have a lot of relevance in the West so it is just me speculating, as we all are. @Octane Out of those you have the FE crossover which looks like a bizarre crossover game that even people who played it don't know what it is, incredibly niche either way. Then we have a remake, what looks to be a flop with Star Fox, a rumored Paper Mario (which may not even happen), Pokken Tournament (which even with Pokemon seems niche) and a Zelda game, if it ever comes out. That's not promising when you have absolutely 0 third party support. And different architecture = a hell of allot of work to port games... So no backwards compatibility. Just take a look at the Wii U and 3DS release schedules, 3DS has loads of awesome games left but Wii U just a couple. @patbacknitro17 No they didn't. You are talking nonsense. Go find the 'specific' quote you are referring to. Good luck... I won't be holding my breath. Until you can reference quotes your input is devoid of any usefulness. @patbacknitro17 They've just as often failed though when trying something crazy. Virtual Boy anyone? EReader? Power Glove? The Wii was a fluke of the time and casuals have moved on. I just don't see them making something radically different. Of course I could be wildly wrong. @Danrenfroe2016 I'm not saying there will or won't be backwards compatibility in NX, all I'm saying is that the rumour of Smash being on NX at release doesn't mean jack. It could easily be the Wii U version on the eshop, in the same way that Wii U is b/c but still has Galaxy games on the eshop. @Clownshoes i vote for the nintendo thwii or thwiiDS. @rjejr Since they are using GPU technology from AMD and since you can see 720p Youtube videos on the Wii U, it's likely that an H.264 hardware decoder is inside the Wii U. Now if the protocol to send the A/V stream to the GamePad is bidirectional, the same channel can be used to send the stream of the NX GamePad on the Wii U. @patbacknitro17 They said the same thing with the DS when it was announced. I recall Nintendo calling the DS the "third pillar" to the Game Cube and Game Boy Advance, and how the DS will not replace the Game Boy. And how did that turn out? We have not had a new product with the Game Boy name in over ten years, and for all intents and purposes, the DS replaced the Game Boy as Nintendo's flagship handheld brand. They only said that to have a safety net in case the DS flopped. If the DS failed to catch on, then the Game Boy brand would have been protected, and Nintendo could have carried on with that brand if needed. Once the DS took off, there was no need for Nintendo to use the "third pillar" nonsense. The Game Boy Advance finished its run and the DS brand took over as Nintendo's main handheld line. Don't take Nintendo's statements about the NX not replacing the "Wii U or 3DS" as fact. If the NX takes off, you can believe Nintendo will drop the DS and Wii brands and focus on the NX. They did it once before, they will do it again. @Aneira wow you are actually using the NES and SNES to support your argument. That was 20+ years ago. Hey should Sega release a new console because the mega drive was a success. Nobody is saying Nintendo should pull out of home console business. It just should not be a surprise to see the handheld released first. Handhelds are Nintendo's biggest asset. That cannot be denied. The 3DS is old technology now. Handhelds have always been released before the console. It's only because the Wii U is a failure that people are questioning the logic of releasing and handheld before a console. @gcunit yeah watch their E3 2015 announcment. Thats about one of the very few things they share about it. The it wont be a wiiu or 3ds replacement came later on. But if they had to basically say it wasn't the same thing, TWICE, then surely to god they mean it. @Mister_Wu "A/V stream to the GamePad is bidirectional"
That's the big "if" I was referring too. The Gamepad can stream audio and video to the Wii U - it does it for Video Chat with the Gamepad's built in camera and microphone - so I suppose it could handle a portable NX stream the same way, but I hadn't seen it done w/ an external game playing device before, so I don't know if any of us can say for certain it would work. If the NX can stream new handheld games to the TV via Wii U that might give current Wii U owners less reason to complain about a new console coming out so soon.Though really it isn't too soon for a new handheld, 3DS is 5 years old in 4 weeks, that's all you get for modern day hardware, like it or not. I know that Nintendo claims they will support three systems, but rarely, have they ever came through on that promise. I'm not sure if the even should. They only have a finite group of people who can work. It would spread themselves very thin. To support NX, Wii U, and 3DS, they would have to have a tremendous amount of third party support, and they just do not have that. Who knows if they will ever have that again? It's not all of their fault. It's just the reality of the situation. In the end, NX definitely replaces Wii U. I think there will be a wait and see approach to 3DS. I think ultimately they want NX to replace 3DS if there is a portable aspect to the system. This would allow them to look at things like Quality of Life. Why would you bother to remake a 2 year old game when you can still buy the Wii U version? Xenoblade and Metroid Prime Trilogy were both older games that were hard to find at reasonable prices. All Wii eshop games merely run on the Wii mode inbuilt into the console. Plus why would Namco be in charge of a simple port job?The news implies the NX will have a different architecture that means Smash U cannot run on the NX. The news has it's good points and bad points that I'm not going to judge either way, I'm just saying it points to the fact the NX won't play Wii U games. @MailOrderNinja I've seen that argument a few times already, dismissing all the upcoming games to "prove" that there are no games for Wii U. 2015 had a niche RPG, a weird kiddy shooter, an amiibo cash grab, a bare bones Tennis game and two 2D platformer for the billionth time. See? You can make every year look bad. It's no different than last year, and we haven't even had our first Direct or E3. @patbacknitro17 You're still failing to provide any specific quotes. Go away, find the quotes (that don't exist) and then come back. M'kay? @Octane I can see myself coming off like that, but I love Splatoon, Super Mario Maker and Xenoblade and play them on a regular basis. I can't see any of the games you mention rising to same level of hype as the biggest among them, StarFox, was universally panned even by Nintendo's biggest fans. Splatoon and Mario Maker were the opposite everyone who played them loved them right away. Even so I don't think they can afford to limp along another year. When there was only this many games coming to the N64, the GameCube launched later in the year. 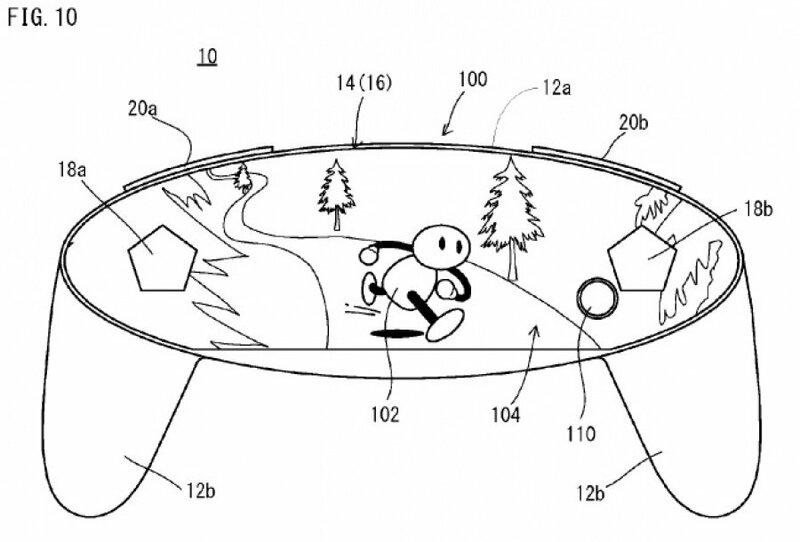 NX is coming in 2016. Nintendo barely has games enough for this year, and they certainly don't have any for the Wii U for 2017. Even Miyamoto noted that the next major Mario game will not be on Wii U, as he indicated almost two years ago it was already in development for the new platform. @MailOrderNinja Sure, but there's one big difference, 2016 hasn't happened yet. Zelda U will undoubtedly be a great hit. TPHD, despite my own issues with the game, is getting a lot of hype already. Who knows how popular Star Fox and Pokkén are going to be, but I'm not going to pretend they're going to fail. 3DS and Wii U are not new anymore. The way a manufacturing business works is they put new products on store shelves and the old products get cleared out eventually. If a reliable source says that a new product will come out this year, then that should make all the sense in the world. A new product on store shelves will sell more than the old product. That's how businesses continue with their business. We should always be expecting a new piece of plastic to buy and with Nintendo's handheld line that is most certainly the case! 3DS, 3DSXL, 2DS, New 3DS/3DSXL. 2016? Either another 3DS revision or a new system entirely. The reasoning is quite sound. StarFox can handily fail, because it has happened to this franchise before. The main reason it might not is that it has literally no competition on the Wii U because there are almost no other games coming to the system. No matter how good Zelda U is, it's not going to "save" the Wii U or suddenly create some kind of magical turn-around in sales. That ship has sailed. And I'm willing to bet that a big reason for yet another HD Zelda remake is because Zelda U... is going the obvious route of becoming Zelda NX. Please just tell us already, Nintendo! If shipments are already being made of flat screen materials and components, that means that manufacturing is already underway... Which means that a looming late 2016 release date is looking increasingly feasible and likely. This pretty much confirms the hybrid aspect of the console, because these flat screens are going to be used on the NX portable/controller. Wii U will be in it's coffin by next year, and I suspect Nintendo learned well enough from the Sega Saturn to not have no presence for a whole year, and from the Wii for half a year. This report comes straight from the horse's mouth of a supplier, so this isn't speculation anymore. Again, NX as a platform that contains multiple devices would be great instead of that cumbersome fusion/hybrid idea that people have been obsessed about, and I'll be happy if they release a handheld this year. That is, as long as it's a gaming handheld and not some awkward looking capacitive controller thing like the patents suggest. Though, I honestly won't be buying it this year. I already have the GPD Win (Chinese Windows gaming UMPC) set as my next buy and perhaps the Shield Portable 2 IF NVIDIA decides to make one (with Tegra Parker of course). @Octane True, nobody doubts Zelda U will be a GOTY experience. I hope Star Fox is stellar, we've just seen no proof of such. We know Pokken is going to be good as it's already out in arcades and apparently loved enough to be in fighting tourneys. Still we knew about Splatoon already by 2015 same with Mario Maker and Xenoblade as they were announced E3 prior to release. We have nothing announced past Star Fox. My argument is that they are seriously ramping down likely for the NX. Why else give nobody faith in a Wii U lineup past April? Geez, people forget that that HD games take FOREVER to make! I don't wanna see this system on shelves until 2017. I think HD remasters is a good idea. Sony did it with PS4. Lots of people have never played this Wii U games remember. I also mentioned the Wii as the latest succesful home console. Of course you chose to ignore that, as your only intention is trolling on users who are not as eager as yourself for a new handheld device. Judging from that it's unlikely that you were even born back when the NES and SNES were around. Go bore someone else kid. The success of the Wii was a fluke, based entirely around a successfully timed fad and nothing else. The DS was likewise a fad. The evidence of this can be seen in the sales of the Wii U and 3DS--which aren't just way lower than the Wii and DS, but are actually lower than the GameCube and GBA, themselves lower than their predecessors, going back to a history of Nintendo selling lower and lower with each new generation. The safe prediction is that the NX will sell worse than the Wii U unless it happens to stumble upon some kind of fad-heavy success like the Wii. Since the NX will be launching mid-generation against two competitors when they will be entering their strongest phase, the NX is all but guaranteed to stumble and/or fail. No console launched mid-generation has ever performed well. It's like TV's Friday Night Death Slot for gaming. "Here we go again. It won't be released this year. NX will be released at the end of 2017 at the earliest." Bold statement, considering how weak the lineup is for Wii U this year. Why do you think that E3 2015 was an utter disaster? Because they had to hold their cards for the NX. That, plus no future vision by saying they would "just focus on upcoming games" simply showed the headstone to the Wii U grave. The Wii U cannot possibly just hang on for nearly 2 more years. Hey man! Long time. Did you get to play SteamWorld Heist yet? I was incredibly impressed by it. I would have preferred more storage containers for the items you pick up, but that's my only complaint. How are your new games coming along? @MrPuzzlez Well then, if you don't want to see NX on store shelves this year, then don't go into any electronics stores this holiday season. @Quorthon Don't worry, I never said that would happen. Zelda U will be a big hit with the userbase that's present on the Wii U; i.e. it'll be a million seller. @MailOrderNinja That's true, and I have no evidence to back this up, other than a quote by Reggie from last E3. He said Nintendo won't reveal games too long before their release dates. Probably to avoid the long waiting that happened with Woolly World, Xenoblade X and Zelda U. We're probably going to see more announcements like Captain Toad and 3D World, game announced and released a couple of months later. I can't prove that this is Nintendo's future plan, only time will tell, but absense of evidence is not evidence of absense. At least wait until the first Direct, possibly even till E3, because I'm sure we're going to get some more game announcements. @Octane I hope so. I love my Wii U and I'll be happy to see it kept well stocked. U have a PS4 as well so I'll never have a shortage of games regardless. Nintendo saying they will support 3DS and Wii U for a long time is meaningless. It's just marketing spiel. They drop machines like a stone when their replacements are out. @MailOrderNinja So do I. I'm not arguing this because I want the Wii U to get more games, I'm already happy with the games that are announced and with all the games on my PS4, there's hardly any room for more, but I'm quite certain that we're going to get more, just like every year. @Mario-Man-Child Wii U has some important final releases this year, but what about next year? Will any significant, new release even exist for Wii U next year? Or will 2017 bring us the coveted release of Doorstop Simulator U? @Mario-Man-Child "Going on previous Nintendo consoles, it is normally over a year between a console being unveiled and it's release." I think Nintendo might be moving away from that practice and taking a page from Sony on to ride the reveal hype to release in the same year. It got PS4 and even the XB1 this far, so that may seem like a good move for them. It also leaves less time for naysayers and bad publicity. I get what you're saying, though. Wii U can last through this year, which is why I think NX portable is coming first. 6 years for 3DS and 5 for Wii U isn't so bad, when you think about it. Although I don't fully agree with this mindset, the Wii U does have to go. It, along with the Vita, just didn't work this time. Maybe next cycle Nintendo and Sony will have learned something to make the next consoles great. "The Wii u has a strong line up from Nintendo this year: possible 3 first party games. A few in-house games is a good year from Nintendo for as long as I can remember." This is what you consider a strong lineup? I'm sorry, but 3 good games, one of which is simply a rumor (Paper Mario), another was delayed from the Holiday lineup (Star Fox, technically Zelda too, but we've known that for a while now), from Nintendo does not make up for the utter lack of everything else. I mean seriously, half the list is eshop games and two "projects" we've heard nothing about since 2014. I guess you and I have differing opinions of what a good yearly lineup is. Nintendo can't even keep up with their one release per month rule that they tried to setup over the past 3 years. "It's nothing to do with Wii u being able to hang on for 2 years. It's about NX being ready for launch." Yeah, but those two ideas go hand in hand, don't they? The longer Nintendo waits, the more likely the NX will fail, as people will have moved on with the PS4 or Xbox. Besides, what exactly do you expect Nintendo to release on the Wii U in 2017? I hear crickets at a distance even now. Their complete lack of an E3 last year solidified that Zelda will likely be the last release for the system. Even that game can be strongly argued that it's in the midst of pulling a Twilight Princess. There's nothing wrong with the mentality that "Nintendo has a history of xxxx," but I think you need to think outside the box on this one though, I just don't see why or how Nintendo can support it for 2 more years, when it will struggle through the first year already. @Quorthon You seem widely out of tune with what NX most likely is. NX most likely is a platform with multiple form factors - an NX Handheld and an NX Console - that share the same architecture, the same OS, the same services, and the same games. They must merge their handheld and console outputs. NX is the plan of a company looking for relevancy outside of the paradigms of Sony/MS and mobile. They simply cannot go head to head in the power race, not when the western 3rd party multiplats that are making exclusives niche don't and won't ever sell well on Nintendo's platforms due to the audience not being there (that's a chicken-egg situation that has no end, and is why they'll never get that support). Also, you keep trying to say that Nintendo's handhelds follow the same downwards trend that Nintendo's consoles do. That is a logical fallacy. The GB/GBC was across two generations, skewing the data. 3DS sold as much as possible given the mobile market causing the handheld market to shrink considerably. It's therefore not the same downwards trend. @Aneira way to win argument by throwing insults. The Wii was a success but sold to the wrong market. These people are not buying consoles anymore. It was lighting in a bottle! Also you know nothing about me. I was born in the NES era. Own every Nintendo console released apart from virtual boy. Japanese consoles also! As I said in a previous article, it'd be better to reverse the staggered launch in the west - NX Console in November 2016, and then the NX Handheld in Spring 2017. This allows it to address regional tastes. So many people seem to know exactly what the NX is, yet they're all saying different things. Rumours are fun, but there's not enough information yet to know exactly what the NX will be. @gcunit Got ya... my point is that it would be difficult to do... It will have to be a new smash game i figure. NX will have two major components to it. One component (the one that will release this year) is going to be an HD gaming tablet with a fairly large screen and proper gaming controls. It will look quite a bit like the Wii U tablet controller except that it will be a stand-alone game machine with all of its guts internal to the tablet and its own memory. It will be quite a bit more powerful than the Wii U, but there will be some reworked Wii-U games available for it such as Smash Bros and probably Zelda Wii U. I am not sure how games would be provided. Download for sure. Memory carts are probably the best option for physical. Almost guaranteed that it will have some form of Android compatibility as well to make it even more appealing as a tablet. In 2017 Nintendo will release another component that allows the NX to be connected to an HDTV. However, the second component will not just be a way to feed data from the tablet to the TV. It will also have its own functions such as storing downloaded games that you do not have space for on the tablet and streaming some forms of content to the tablet over Wi-Fi. It will also allow multiple NX machines to connect to it locally or over the internet for multi-player games. The combination of the two will look a lot like the Wii U (and be backward compatible with the Wii U). The big difference will be that you can take the tablet anywhere. Of course, I could be 100% wrong. The Game Boy Color is considered the same generation as the original Game Boy, even with Nintendo's own accounting, as they were identical hardware (with color added). That is not a logical fallacy (which indicates you may not know what those are), at worst, I'd be incorrect, but I am not. This has been shown on this site before, granted it was a while ago. The 3DS is in the same downward trend, as the consoles which strongly indicates that outside of the occasional fad, Nintendo is a non-factor in modern gaming and they far removed from being the industry leaders they were in the 8-bit and 16-bit eras, which, just so happen to be the eras where Nintendo tends to bank on all their nostalgia power. I also am not "widely out of tune" with what NX is since no one outside of Nintendo actually knows for sure what it is, and the very description you have made is precisely the description I predicted two years ago as the direction they should take. I know I'm not around much these days, but I'm still pretty sure I flooded this site with my descriptions of how the NX should ideally work as both a handheld and home console--which, by the way, many people here adamantly argued was totally impossible. Ah, knew it was the correct decision not to take the new 3DS bait. Hope we get confirmation soon so I can go ahead and work another system into my gaming plans this year. @kobashi100 So true, 3DS is amazing but it's starting to feel old now. especially graphics. I just can't expect anything less than HD on a portable in 2016 especially since psvita had it when it released! so nintendo held off as long as they could. and did a great job too. I can't wait to play A Link Between Worlds in HD. NX is going to be amazing! @Quorthon Game Boy and Game Boy Color were essentially the same hardware, yes, but it was their handheld for both the 4th and 5th generation. That's why it's a bloated number. The GBA was then forced to peak early due to the announcement and launch of the DS only 3 years into the system's lifespan. DS was a statistical outlier. Then came the mobile market, which basically crippled the handheld market and continues to eat away at it, resulting in the 3DS's lowered sales. So no, it is not the same downwards trend as their consoles due to context. @Quorthon "The Game Boy Color is considered the same generation as the original Game Boy, even with Nintendo's own accounting, as they were identical hardware (with color added)." It is true that people , Nintendo included , group them together , but hardware wise the GBC is , comparatively , a lot more powerful than the GB. This enabled the Gameboy line to last a lot longer and span two generations. @RatKing64 I hope you are wrong. Handheld the size of a Wii U gamepad is not a handheld. It isn't portable for one, i don't want a carry a bag with me every time I wanna play the console outside of home. That wouldn't go down well in Japan at all. No need for NX handheld to be bigger then the Vita. It has to remain a portable device. Makes sense. Get the NX handheld out to succeed the 3DS first to revitalize the currently declining handheld market and provide a (hopefully) successful foundation for the NX console to succeed. Nintendo will still have a LOT of work to do on the console space, but if users of the NX handheld are drawn in into the NX console due to the shared software library, then the NX console, should, at the very least sell, better than the Wii U and prevent any potential financial losses (personally, I think the NX console should perform better than the Wii U as long as Nintendo drops the toxic "Wii" brand name, which they will). However, there are also certainly reasons as to why the NX console should launch before the NX handheld. The 3DS can probably last another 12 months or so before it starts to face some serious fatigue. The Wii U cannot. Nintendo does account for the GB/GBC as the same platform. Problem is, they don't really account for the fact that the GB/GBC lasted for about 12 years on the market before the GBA succeeded and replaced it. Of course the GB/GBC was going to sell as much as it ultimately did (118 million units of hardware/ 500 million units of software). Give the Gameboy line a normal video game platform lifecycle (~6 years) and you can essentially slice those hardware and software number in half. Similarly, if Nintendo was to release an HD 3DS with better hardware, yet for some reason kept that device as part of the 3DS line of platforms, and they kept that device on the market for 5-6 years, you can probably double the 3DS's current hardware and software sales when determining its ultimate LTD sales. What you're doing isI called spin because you don't want to admit being incorrect. The reasons the Game Boy lasted as long as it did include that its original successor, the Virtual Boy failed hard at retail, and adding hardware revisions, not to overlook the way Pokemon gave it a new lease on life. Nintendo counts the entire Game Boy line together. After that, the GBA sold lower numbers, and then the 3DS sold lower yet. The DS, like the Wii, was sold as a fad, and after, the 3DS sold below GBA levels. I was generalizing on the hardware. The point is that the Game Boy Color is officially considered part of the Game Boy line. Its not a separate platform, or a brew hardware design (they merely upgraded the existing hardware). The GBC is to the GB what the New3DS is to the regular 3DS. @Quorthon The only one spinning here is you (well, and Nintendo). The Game Boy line was Nintendo's handheld for both the 4th and 5th generations. Nintendo is reporting bloated numbers for PR spinning purposes, and you are using said numbers and conveniently ignoring that fact in order to "prove" your argument because you don't want to admit you are incorrect. While you are correct on why the GB lasted as long as it did, it doesn't change the fact that the numbers are ultimately bloated. Honestly, I'd rather see a handheld as powerful as a xbox 360/ps3/wii u than a new console. But, I think it's a lot more likely that the NX will be a console. The Wii U might have a "good" year, but I think Nintendo wants to stop the Wii U. It's only sold 10 Million consoles, But I still love the Wii U. If we get it this year, I presume that it will be announced in February. Maybe in a Nintendo Direct close to the investors meeting, Or maybe just at the investors meeting. I don't know. Just a thought. This pad I've seen around online (it even made it to the mail online) from what I've read it could a 3D system! @Mario-Man-Child That's so unrealistic. Wii-U doesn't have any titles to carry revenue and profit for 2 more years, January is about to end, no way nintendo will achieve even sub-par profits or revenue. Console sales for 3ds and wii-u are going to drop this year, even more next year. we'll see a mild spike with pokken, only because of its pokemon and it'll be at evo, so at best that'll move 1.5 over its time. should a pokemon z or new game release that may move a half million 3ds systems. Zelda U will be a toss up because so many people are going to hold out for a NX port. My point, even though they have games i'm excited for, there's not enough for another 2 years. We know metroid isn't coming for wii-u, an f-zero is not in the works, the only surprise title they could announce is animal crossing for wii-u (a real one). Nintendo is still a business, they need a new console/portable to drive revenue, profits and increase market share. Mobile will help, as it has, but more is needed. @umegames Nintendo fails again. Customers have bought Wii U for 2-3 years and now they are announcing the new console again. Don't mention all the game drought on Wii U particularly for early adopters. I love handheld gaming, DS and GameBoy are easily among my favourite systems but I'm going to be honest, this part portable part home console has me worried. Do away with motion and touch controllers, just give us a controller and make some sweet games Nintendo. 'Traditional' lifespans don't mean anything. It's business. Nintendo have never had a home console fail this badly before. Reveal before E3, software at E3, launch end of year. Makes sense on every available level. @Mario-Man-Child No successful business just takes a hit and does nothing for a year, no matter how much they have in the bank. To do that would not even be a steady state course of action, that's just a decision to have losses in freefall. We aren't just saying these things based on wild conjecture. We're being presented with evidence, and extending that into Nintendo's business behavior. There is no evidence that Wii U can sustain it self, or has anything significant or new coming in 2017. Meanwhile, mounting evidence is being presented that they're aiming to hit an end of 2016 deadline. This kind of near total information blackout in the public eye has never happened before with Nintendo. We've never been so unsure about Nintendo's future actions, because they've never before so totally refused to tell anyone about their plans. That' secrecy is not the sign of a healthy business or public relations, it's the sign of either a greatly ailing business or a cocooning business. Hopefully, Nintendo will emerge from whatever vulnerable state they're currently in, and soon. @eaglebob345 actually, that's how I never got into the 3ds. I had the dsi and it was underused for that very reason, but when the 3ds hit, I kept on thinking about the inevitable upgrade - now known as the n3ds - that would make me like the system for its potential. Now that it's here, I'm not going to do the dsi thing all over again. Nintendo actually marketed a fan away from the 3ds generation in my case. My prediction for NX: Nintendo employees by random chance read this comment section, look at each other in morbid shock, then simultaneously say to each other: "these are our fans?! ", then proceed to cancel the NX & entire gaming division. Nintendo then opens up a chain of ice cream stores instead. I don't have to convince anyone. I can read the runes. I'm starting to think you just don't to be wrong. I love my Wii U. I've had one since launch. But I can see that Nintendo wants to slip it under the rug. Why would they wait until next year? I doesnt make since. The NX WILL come out this year. I don't have any actual proof, But it just makes since. I don't care if it is a handheld or a console. It WILL come out this year. @Mario-Man-Child The information coming from this supplier basically confirms that they're beginning the process of manufacturing units now, including the one that will be shown at E3. That is not "nonexistent" information, that is solid information. Early development is wrapping up, they're in production mode now. Nintendo has been strangely, even irrationally silent towards the public recently, compared to the past. We have no way of knowing what their plans are anymore. Whatever patterns they used to have for announcing their plans are null and void at this point. However, if Nintendo spends 2017 continuing production for NX, but has little or nothing to provide in the meantime for Wii U and/or 3DS (and they have already stated that no new Wii U first party projects are being planned), that is "doing nothing" from an economic viewpoint. Nintendo's measure of success is all from an economic viewpoint, and they're struggling to maintain that on the back of the dead weight that is Wii U. The longer they stick with Wii U past 2016, the more their decline will be prolonged. @RandomBlue Consoles play games, so I think you bring up a really good point. Ultimately, it does need good games, it's so true.